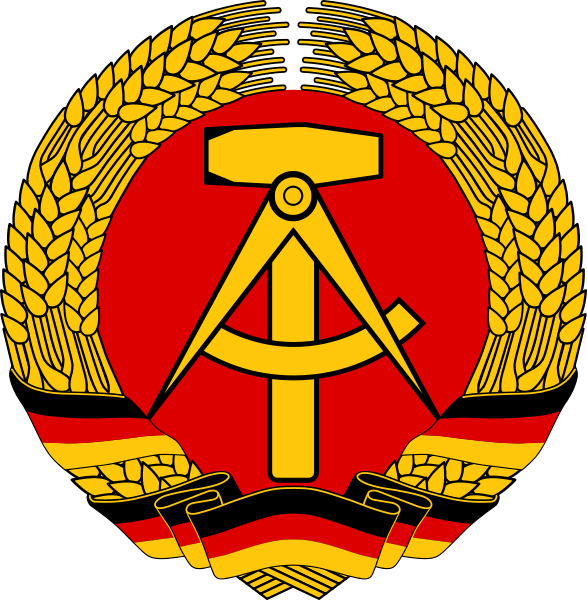 The history of the German Democratic Republic (GDR) ended twenty years ago on October 03, 1990 with the entering into force of the "Einigungsvertrag" (Unification Treaty) between the Federal Republic of Germany (FRG) and the German Democratic Republic, according to which the GDR declared its accession to the FRG. The treatment of the GDR's intellectual property rights has been coded in the Unification Treaty of 31 August 1990 and laid down in the "Erstreckungsgestetz" (Act on the Extension of IP Rights) of 23rd April 1992. On the day before, 42 patent applications were filed with the Patent Office of the GDR, the "Amt für Erfindungs- und Patentwesen der DDR", in East Berlin. From those of the 42 applications that were granted only two are stillin force, namely, based on a french priority, DD 299 263 ("laser marking of cheese products") of french inventor Rocco Pilierot and DD 298 536 ("apparatus for VI modification for a screw compressor with combined VI and partial load adjustment") of GDR engineers Dieter Mosemann, Otto Knodel, Peter Kolberg, Ottmar Neuwirth, and Horst Meier, who at that time were with the "VEB Kühlautomat Berlin", a comparably successful people-owned enterprise of the GDR that produced cooling equipment. Today at midnight, when the day of 20th aniversary of the German reunification begins, the Mosemann patent will expire after the regular patent term of 20 years according to § 6a ErstrG (Extension Act) as the last true GDR patent. On that occasion, technology writer Max Rauner recently published the article "Der letzte Erfinder" (the last inventor) featuring Dieter Mosemann, who was one of the most successful inventors of the GDR and managed to be successful in unified Germany as well. Also, on the occasion of the 20th aniversary of the take over of the GDR Patent Office and its 13.5 million patent documents by the German Patent and Trademark Office (DPMA), a recent press release recalls the demanding process of merging the two independent German patent offices, during which 450 of the 600 employees of the GDR Patent Office, including 105 patent examiners, have been integrated into the DPMA offices in Berlin and Munich. Since the GDR was member of international IP law organizations, the legal regulations for IP protection were almost identical in the two German states. There were, however, differences in the rules for commercialising and exploiting patents. While the patents of the Federal Republic of Germany gave the holder the right to exclude anyone from using and the invention, the GDR had (fewer) such exclusion patents ("Ausschließungspatent") and much more so called economy patents ("Wirtschaftspatent"), which could be used by any state-owned enterprise upon payment of a compensation. All in all, the IP heritage from the German communist era included 110.000 effective GDR patents, among which were 14.000 exclusion patents and 97.000 economy patents.